The United States and Russia have held 'useful' and substantive talks on Venezuela, but the two sides remain split on how to resolve the South American countrys crisis, according to the U.S. special representative Elliott Abrams. Abrams made the comments in Rome on March 19 after meeting with Russian Deputy Foreign Minister Sergei Ryabkov, who described the talks as 'difficult' but frank. Venezuelan opposition leader and parliament speaker Juan Guaido declared himself interim president in January, and was recognized by the United States, most European Union countries, and the majority of Latin American states. Russia, along with other countries including Iran, Cuba, China, and Turkey, continues to recognize Nicolas Maduro as president. 'No, we did not come to a meeting of minds, but I think the talks were positive in the sense that both sides emerged with a better understanding of the other's views,' Abrams said after the meeting in a Rome hotel that lasted more than two hours. Ryabkov emphasized the need for dialogue with Washington, but warned the United States against military intervention in Venezuela. We assume that Washington took our priorities, our approaches, and warnings seriously,' Ryabkov said, according to Russia's state-run news agency TASS. The meeting in the Italian capital took place as the United States imposed fresh sanctions on Venezuela, this time targeting the state-run mining company Minerven and its head. At the White House, President Donald Trump said that 'all options are open' when dealing with the crisis in Venezuela, and suggested that Washington could impose 'a lot tougher' sanctions on the Latin American country if needed. Maduro, a socialist who took office in 2013 after the death of Hugo Chavez, was sworn in for a second term in January following elections in May 2018 that were marred by an opposition boycott and claims of vote-rigging, leading to mass street protests. 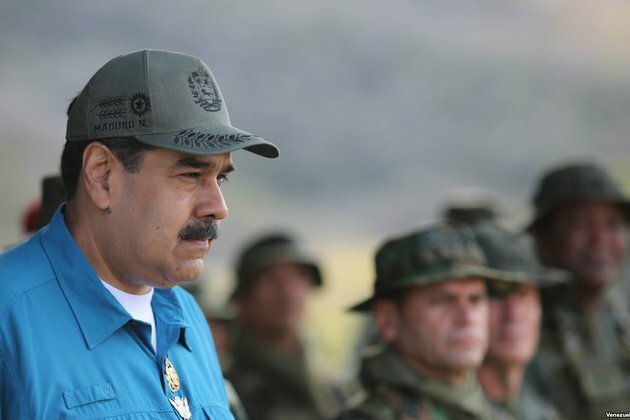 Russia -- who has loaned Venezuela billions of dollars in recent years -- has been Maduro's biggest international supporter since the dispute with Guaido began.